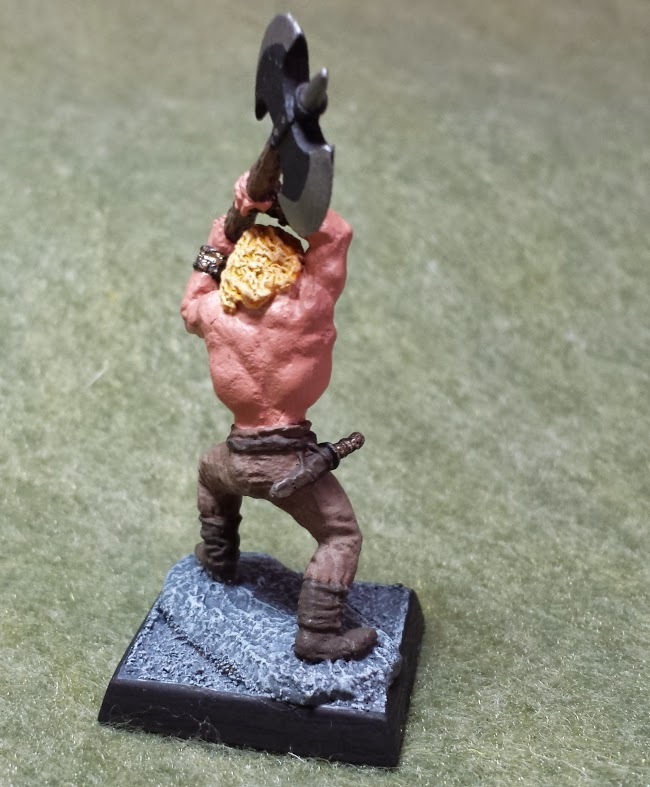 Dave's Character in JADE's Maze of the Minotaur Campaign is the Barbarian Raymond E. Howard. 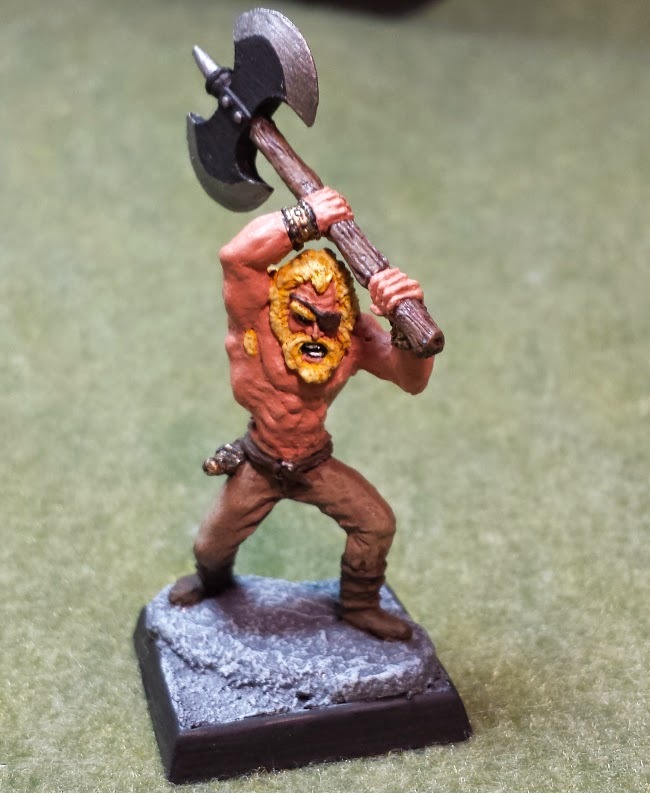 He is the older brother of Robert E. Howard, and the two of them stalk Minotaur's Labyrinths across the globe to quell their uprising. 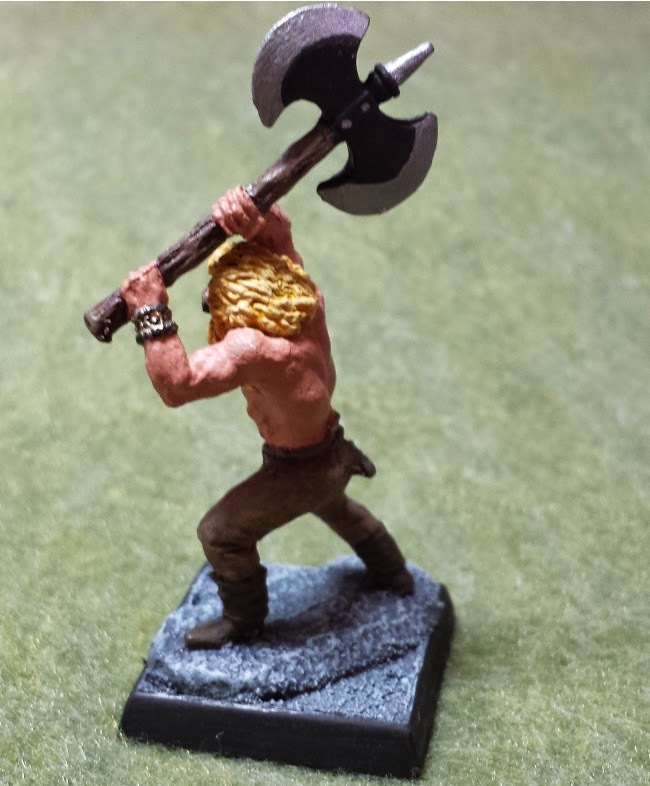 Unlike his brother, Raymond prefers to hold on to his weapon during combat, and wields a ferocious great axe. He is quite proficient with the weapon, and capable dealing a large single foe, or a mob of smaller opponents. Hopefully he and his brother will survive long enough to put down the Minotaur Rebellion once and for all!